Pergolas, gazebos, fireplaces, water features and outdoor kitchens can completely transform a deck or patio from a seldom used space into a stylish outdoor room. 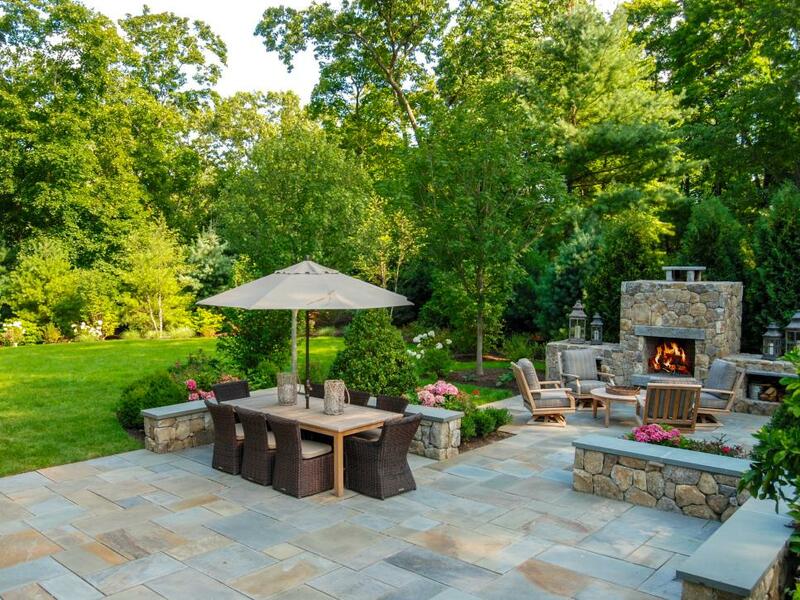 You should think of your outdoor space as an extension of your home. Without adding on an additional floor or room inside the home. It’s a terrific place for family events. Instead of putting a grill in the exposed backyard create an outdoor kitchen under a pavilion or ramada where the family can gather for meals. A firepit in the middle of the space can keep you warm on cool nights while you are enjoying the outdoors. A pergola can give coverage, so your family isn’t sitting in the harsh rays of the sun. If you don’t want any sun a gazebo can keep you shaded. Pavilions are a great compromise between gazebos and pergolas. They offer a great open feel like a pergola and give you solid shade like a gazebo. Outdoor structures go by different names to reflect their function or region of country (lanai, ramada, veranda) but they all serve the same basic function: to provide an aesthetically pleasing place to hang light fixtures, fans, or A/V equipment, provide shade or a break from the wind, and even a place to locate cooling misters or an infrared heater. Our experts are well versed in all the various outdoor structures and their potential uses. If you are thinking about enhancing your site with an outdoor structure, we would welcome the opportunity to discuss the possibilities with you.